Should your nonprofit focus on donor retention or acquisition? Icame across an article on Lifehacker about applying the 80/20 rule to networking. The general premise is that you should spend 20 percent of your time cultivating new contacts and 80 percent of your time strengthening the relationships you already have. Which metrics do you value? Target audience: Nonprofits, cause organizations, foundations, NGOs, social enterprises, marketers, Web publishers. Did you know that nonprofits as a whole have a donor retention rate of 49 percent? Retention rate refers to the percentage of donors who make another gift or have an ongoing relationship with a nonprofit. That number is astonishingly low compared to business’s customer retention rate of 94 percent. Why the huge gap? I mean, you’d typically expect that people who support issues like gay rights and global warming would be repeat donors. But nonprofits rarely make donor retention a priority. To help shed some light on this, I called Marc Pitman, an expert on fundraising. “Instead of talking about annual donors, we should think about nonprofits’ relationships with donors,” he said. Blackbaud’s just-published 2013 Charitable Giving Report shows that small nonprofits, with annual total fundraising of less than $1 million, grew their fundraising by 7.3 percent compared to 2011. 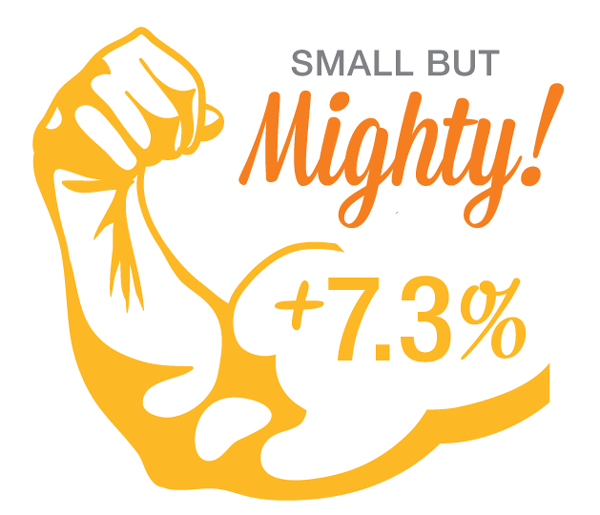 These small guys blew away the large nonprofits who only grew 0.3 percent!